Two nanotechnology scientists from Northwestern University accidentally stumbled on separate revolutionary discoveries just down the hall from each other. Between them, they could reduce the need for multiple surgeries in patients and also transform water filtration. All this can be done by harnessing earlier unknown powers of water, which is considered to be the most abundant resource in the world. Devices that will have significant implications in medicine are currently being developed by John Rogers, Director of the Center for Bio-Integrated Electronics. 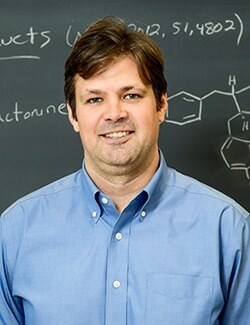 William Dichtel, Robert L. Letsinger Professor of Chemistry, is presently working on polymer and organic chemistry and nano fabrication. He mainly focuses on how to develop devices with separate molecules. The research of Rogers and Dichtel highlight news ways to enhance patient outcomes and promote sustainability. A significant discovery was recently made by John Rogers and his team of researchers. They discovered that silicon, thought for a very long time to be a permanent material, like brick or rock, actually dissolves in water when it is sliced into sheets that are incredibly thin. This discovery was mostly serendipitous. We weren’t testing silicon for its ability to dissolve, we were interested because of its ability to bend by virtue of its tiny thickness. We had developed a way to take silicon wafers and shave them down to sheets with a thickness of maybe a tenth of a micron. In creating and manipulating that silicon, we stumbled across the fact that it dissolves, although very slowly, in water and biofluid, and that the end products are biologically benign, naturally occurring in the body. This discovery in “bio-resorbability”, which refers to the capacity to be absorbed naturally into the human body, has significant medical applications. For instance, it is possible to construct an electronic device from silicon and then insert it into the body in order to attain a specific task. It dissolves after its purpose has been served. In the case of severe brain injuries: presently, a neurosurgeon will have to inset a monitoring device into the skull to ensure that the pressure and temperature of the brain remain within a safe zone. A second surgical procedure is needed to remove the device after this crucial monitoring period comes to an end. Rogers and his research team, focusing next on human trials, believe that their discovery can bring about improvements in medical treatments and basically enhance patient care. 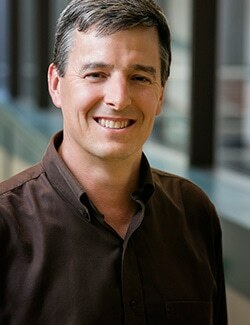 Down the hall from Rogers is the lab of William Dichtel, who is currently working with water outside the human body. The research on organic and polymer chemistry and nanofabrication—how to arrange molecules into energy-storing or electronic devices—conducted by Dichtel’s team resulted in the discovery of a new material capable of purifying water in a more efficient manner. Almost two years ago, Dichtel’s team joined the Center for Sustainable Polymers (CSP) at the University of Minnesota, where plastics and organic materials were developed by researchers from non-petroleum-based resources. Alaaeddin Alsbaiee, a post-doctoral student on Dichtel’s team, suggested applying their nanostructured polymers to water. Nanostructured polymers refer to a material developed from combining smaller molecules with pores at the nanometer scale. Incredible results were obtained by just doing this. “I just about fell out of my chair,” says Dichtel. This nano-material is already poised for widespread industrial and commercial applications in sensing devices, respirators, and also in household water filters. However, Dichtel and his team believe that this material can ultimately assist large-scale water purification efforts in the developing world, besides addressing environmental issues like restoring decimated fish populations. Both Rogers’ and Dichtel’s work focuses on the same core concepts: improving mankind through medicine and technology and then transforming the future for populations all over the world. Their efforts begin by “following the science,” as Rogers says— simply staying receptive to unexpected applications and unforeseen possibilities. That intellectual openness and practiced intuition motivates their passion to harness the properties of known materials like water, and also to bring about major transformations. Northwestern really prides itself on research and discoveries with downstream applications. Having an impact always is the dream, especially if it can make someone else’s life better.